Asian Power is a comprehensive quarterly publication for the power industry in the Asia-Pacific region. 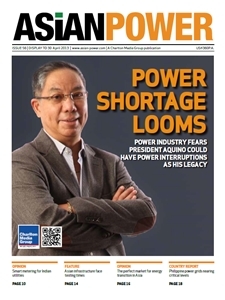 Every issue of Asian Power is packed with the latest news, innovative software and IT solutions, analysis and market trends, interesting expert insights, people profiles and special country reports. Gain access to the latest on power generation, transmission, and distribution in Asia by subscribing to Asian Power for only USD $460/year.